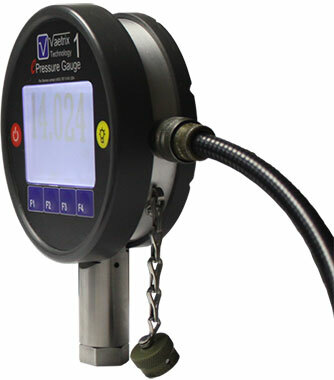 The Deadweight Gauge is the most accurate instrument available for the pressure measurement. Repeatable readings with accuracies of 0.1%. 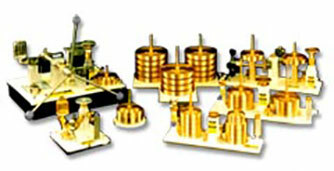 0.05% and 0.02% of measured pressure are obtainable.The device does not require recalibration unless the components have excessive wear of weights. It can be easily transported and set up in the field, requires minimum maintenance and is simple to operate. Primary pressure standards are generally more accurate than secondary pressure standards. A primary pressure standard must revert to fundamental units of mass and length. These fundamental units can be determined with a high degree of precision. The physical standards for a deadweight tester and gauge are traceable to NIST. Deadweight Testers and Gauges also have excellent sensitivity. Low pressure models with large diameter pistons have higher sensitivity at the lower end of their range and are recommended for checking orifice meter static pressure in gas distribution systems. Sensitivity of 0.1 psig and 1.0 psig are typical. The Deadweight Tester and Deadweight Gauge are the most accurate and cost effective instruments to use to calibrate secondary pressure devices or to measure unknown pressure where a high degree of precision is required. Call our at 303-361-6797 for available models and solutions. We are also pleased to offer the Vaetrix eGauge1 from Taylor Valve with a state-of-the-art display that provides a large view area for ease of reading. The back light capability makes it ideal for field service even in low light conditions. Unmatched performance, solid construction, accuracy and distinctive design all set this gauge apart from any other pressure gauge on the market. Greater portability, much faster and more convenient to use than a deadweight tester. The gauge is more durable and reliable than the most expensive mechanical pressure gauges manufactured to date.